Roleadro is a Chinese brand that’s fabricated in Shenzhen, China. 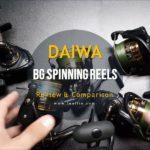 They’ve been around for a long time and have established themselves as one of the most popular go-to choices in the introductory market. 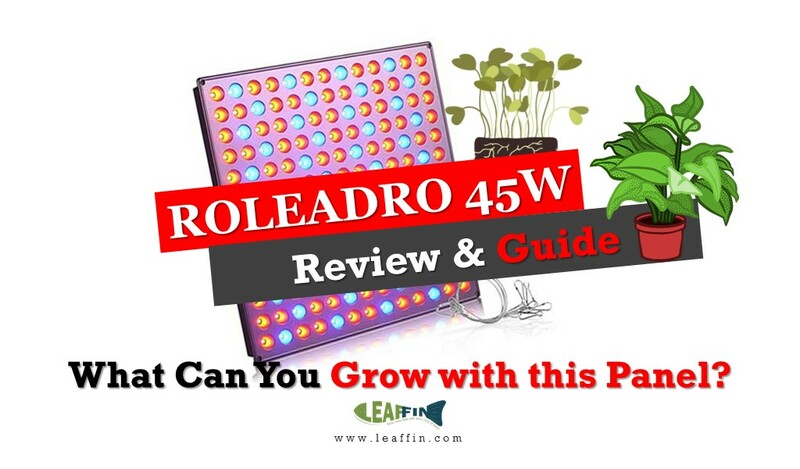 The 45w panel by Roleadro is certainly a quality LED light at a cheap price. It comes with a switch that enables a lower power consumption mode. This 45W panel offers a great solution for people with a very tight budget. The ballast gets mildly warm under continuous use 18/6hr. Mildly warm means 88-105f with an ambient temperature of 74f-88f. The backside of the panel is flat and made up of aluminum. It doesn’t get hot. Surface temp probe reads 82f on the metal backside after it had been on 18 hrs straight. These panels are great for seedlings, microgreens, and houseplants, it is not suitable for any large blooming or fruit-bearing plants. However, you cannot yield marijuana under these at all. These Roleadro Panels are built very well and have an external (small) ballast. Before diving into a deep review and results of experiments with this panel. 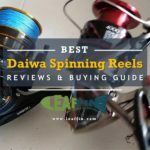 You just need to know about. Humans use Lumens. Don’t measure a lights effectiveness by its luminosity. If you do, you’re just an idiot. 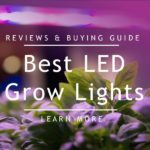 The FEIT 300watt LED $40 bulb is extremely bright and can light up a .25 acre backyard, it’s marketed as “stadium lighting replacements” however it puts off a miserable 10µmol within 2″ of the bulb and couldn’t grow anything. Plants use PAR, PAR stands for photosynthetically active radiation (PAR). PAR is NOT a measurement or “metric” like feet, inches or kilos. Rather, it defines the type of light needed to support photosynthesis. PPF: Photosynthetic Photon Flux, PPF measures the total amount of PAR that is produced by a lighting system each second. PPFD: Photosynthetic Photon Flux Density (PPFD), measures the amount of PAR that actually arrives at the plant, or as a scientist might say: “the number of photosynthetically active photons that fall on a given surface each second”. Photon Efficiency: Photon Efficiency refers to how efficient a horticulture lighting system is at converting electrical energy into photons of PAR. 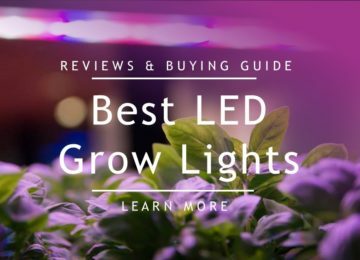 Many horticulture lighting manufacturers use total electrical watts or watts per square foot as a metric to describe light intensity. However, these metrics really don’t tell you anything since watts are a measurement describing electrical input, not light output. Micromoles (µmol ): Intensity of a light is measured over a fixed area to understand the ability of a light to cover an area with that intensity (coverage). Micro-moles of photons per square meter per second (µmol/m2/s) measures the intensity by taking measurements in a consistent 4 x 4 grid, measures the coverage of that intensity–commonly known as PPFD per 4 x 4 grid. Rather than measuring light intensity by lumens per watt with a lux meter, growers should use a Quantum PAR meter to measure the micromoles of photons per square meter per second (µmol/m2/s) at the canopy level. To best calculate PAR light intensity coverage using PAR mapping 4 x 4 grids, be sure and measure at various heights. Spot readings (PPF) metrics are misleading. Growers use PPFD per square meter to accurately measure intensity and coverage of that intensity. The top light tested is the Taotronics 36w bulb which even beats out most of the 1200watt LED lights. With the Quantum par meter, these panels put out 200-245μm (micromoles) at 3-5″. 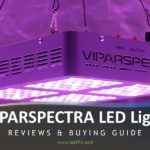 That’s impressive compared to the other cheap LED panels offered on Amazon which are putting out around 9-40μm and saying they are 4x the power. The ideal effective range for these is very close 3″ to 8″ (max) for proper coverage. and subsequently limits the effective angles of usable light. You could place them higher, however, the PAR drops significantly after 1.5ft. Keep your expectations within scientific reasoning, don’t expect to bloom 16 Costco sized strawberries off this one single panel. However, you can grow two entire 20×10 trays of flowers on this easily. You can also grow a Single 20×10 of Microgreens (healthily) under this. What marijuana needs to thrive? 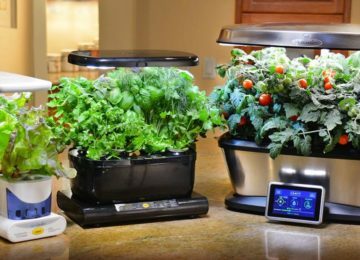 Recent studies by NASA and The Department of Agriculture show that marijuana thrives best at around 4000µmol, something that most (singular LED lights) LED’s are not capable of for long periods of time (4/21/2017) without Peltier/water-cooled assistance. 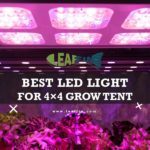 Most of the good LED lights kick out around 1200-2300µmol and the ones that do it continuously RELIABLY and run cool to the touch will cost anywhere from $900-4000. 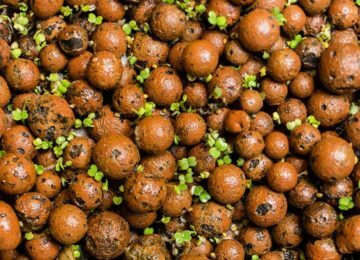 These panels are great for certain applications like seedlings and microgreens, it is not suitable for any large blooming or fruit applications. You cannot yield marijuana under these at all, you can, however, start seedlings. This is also perfect for sustaining Tissue Cultures and have been very reliable. This is also great Refugium Light for Aquarium Macro Algae. 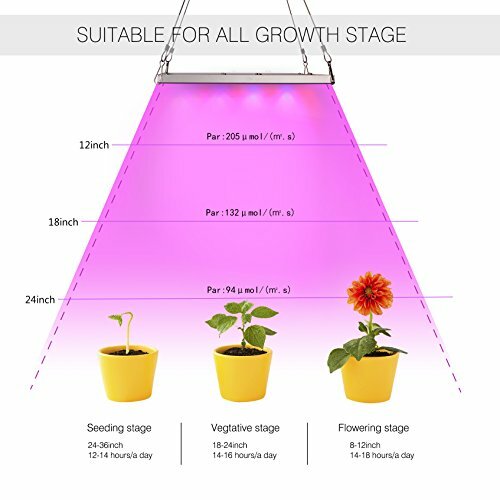 The $26 Taotronics 36w LED grow light bulb puts out a whopping multispectrum 1500µmol at 1.5ft You would need a couple per plant for large fruits, vegetables or marijuana, but you cannot beat the cost factor and after running the lights for 24/7, you can easily fully grab the bulb/heatsink, unscrew it, and it won’t even be slightly warm.